The Islamic Resistance Movement, Hamas, slammed the Palestinian Authority's (PA) security forces on Sunday for assaulting the father of the Palestinian martyr Basel al-Araj and the protesters who went in a march condemning the PA trial held against the martyr. In a press statement on Sunday, the Hamas spokesman Hazem Kasem attacked the practices of the PA security forces in the West Bank which target the Palestinian resistance and its symbols. Kasem called on the Palestinian factions and forces to formulate a joint program to prevent the PA from continuing to target the resistance in the West Bank and tampering with the Palestinian cause. He also called for putting an end to the PA policies which promote the division and disrupt the national reconciliation. Mahmoud al-Araj, father of martyr Basel al-Araj, and a number of youths were injured, journalists were assaulted and their equipment was broken, and others were arrested including Islamic Jihad leader Sheikh Khader Adnan after the PA forces quelled a demonstration in Ramallah condemning the trial held against Araj and other Palestinian youths over the charge of possessing illegal weapons. Eyewitnesses told the PIC reporter that the father and others were taken to the hospital for treatment after they were severely beaten by the PA security forces. Mahmoud Araj later announced that he will start an open hunger strike until all protesters who were detained during the march are released. Dozens of marchers gathered in al-Bireh city in conjunction with a trial held in the Magistrates' Court against Basel al-Araj, despite his martyrdom, and five other youths, who are currently detained by the Israeli occupation authorities. A hearing is expected to be held by a Palestinian Authority (PA) court in Ramallah on Sunday to decide on the case of six Palestinian anti-occupation protesters, including slain Basil al-A’raj. The six anti-occupation youths will be trialed on allegations of holding illegitimate weapons and forming a resistance cell. 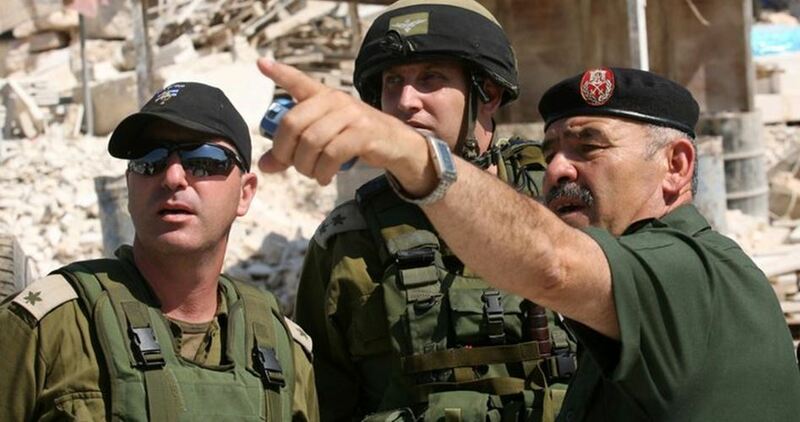 Those who will not turn themselves in will be brought to court by the PA forces under gunpoint. Meanwhile, activists launched calls for mass rallies outside the Ramallah court and overseas. Palestinian activists called for organizing protest sit-ins under the theme “Basel will hold them to account” in occupied Palestinian territories and in a number of countries in coincidence with the Palestinian Authority (PA) trial of martyr Basel al-A’raj along with five of his imprisoned companions in Israeli jails over the charge of illegal weapon possession. The trial is scheduled to be held in Ramallah on Sunday. According to a call launched over social media websites, the protesters are going to take to the streets in Palestinian and Arab cities of Ramallah, Gaza, Haifa, Amman, Tunis and Rabat in addition to a number of European cities. The event aims at protesting the trial of martyr al-A’raj whose body is still detained by the Israeli occupation authorities as well as condemning the PA policy of political detention. The main sit-in will be staged in front of the courts compound in al-Baloa area in Ramallah city on Sunday at 2 p.m. The lawyer of martyr al-A’raj, Muhannad Karaja, pointed out that the trial sessions have not been completed yet since the release of al-A’raj and his colleagues on bail (2000 Jordanian dollars each). The hearings are still periodically held in their case despite being arrested by Israeli occupation forces who rounded them up few days after their release from the PA prisons where they had been detained for months over the charge of planning to form a resistance cell. Al-A’raj, a pharmacist and a prominent anti-occupation activist from al-Walaja town in Bethlehem, was fatally gunned down by Israeli occupation soldiers in a house in Ramallah at dawn last Monday. Ghalib Abdullah Daraghma, a 48-year-old resident of the occupied West Bank city of Tubas, died in the Palestine medical complex in Ramallah, on Sunday evening, after his health deteriorated less than 48 hours after launching a hunger strike. A Palestinian police spokesman told Ma’an News Agency that Daraghma started his hunger strike on Saturday, after he had been taken to the hospital on Feb. 26. The reason for the hunger strike remained unclear, as of Monday. Palestinian security sources said that Daraghma had been held in a Palestinian prison for the past two years, after being charged with killing five Palestinians, including two police officers in Tubas, adding that he, however, had not been sentenced in court. 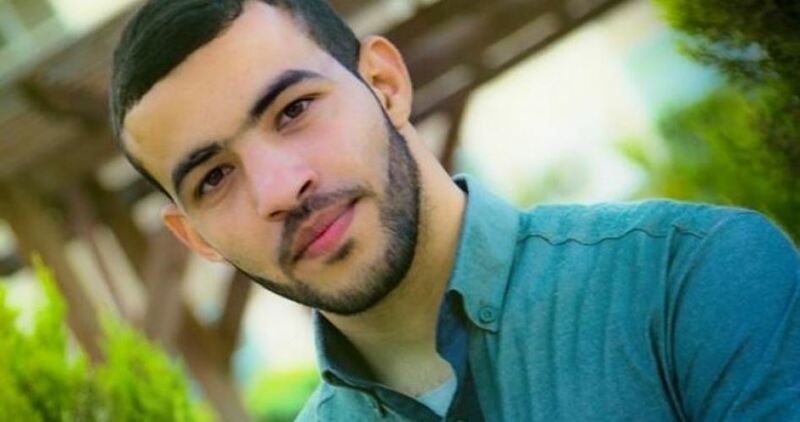 Daraghma’s death comes amid renewed outcry against the PA’s incarceration system as Palestinian activist Bassel al-A’raj, who had been detained by the PA for five months in 2016, was killed by Israeli forces on Monday. 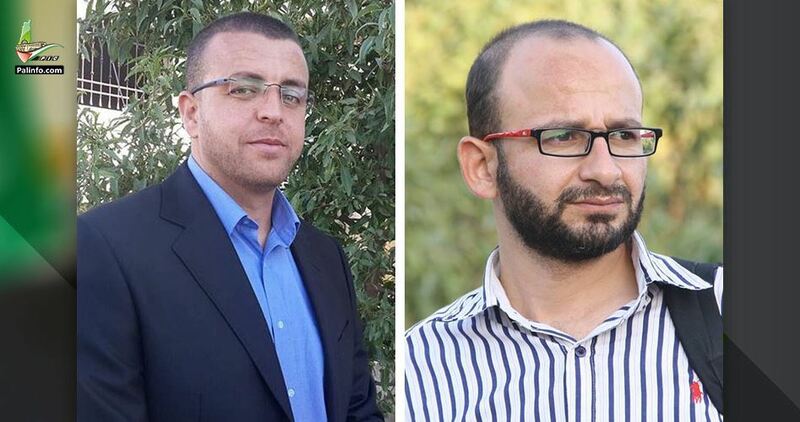 Palestinian Media Assembly (PMA) warned of a systematic crime of physical liquidation of two Palestinian journalists: Sami al-Saee who is detained in a Palestinian Authority’s (PA) jail and the hunger striker Mohammad al-Qiq who is held captive in an Israeli prison. In a statement on Sunday, the Assembly expressed concerns over the fate of both detainees. The wife of captive Saee quoted his mother who has visited him lately as saying that Saee may die at any moment as a result of severe torture he is being subjected to in Jericho jail. In a letter to his mother, Saee said “Prepare my funeral as you might hear the news of my death soon”. He does not feel his limbs any more, he said, because of being held in solitary confinement in the isolation cells naked and fixed to an object for long hours. 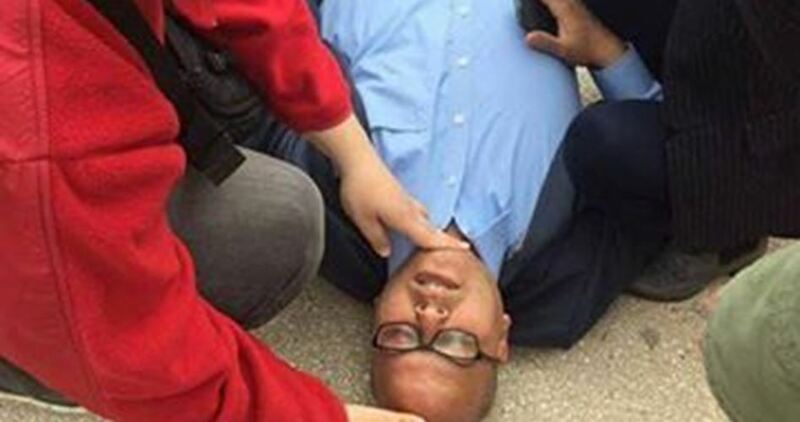 Captive Saee, who works as a correspondent to al-Fajr al-Jadeed local TV in Tulkarem, suffers from migraine as well as a neurological disease due to torture he was previously exposed to in Israeli jails. The PA’s intelligence apparatus refuses to release Saee on bail based on a court ruling that was issued on February, 08, 2017. It extended his detention order to 15 extra days. The Assembly expressed as well its solidarity with detainee Mohammad al-Qiq, who has been on hunger strike for 14 days in protest at the illegal administrative detention. 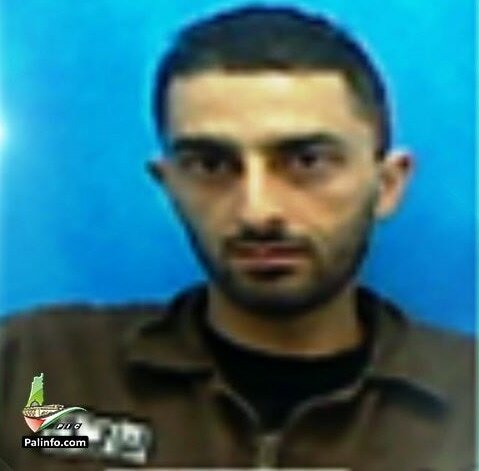 Captive Qiq was detained one month ago after he was stopped by Israeli soldiers at Beit El military checkpoint north of al-Bireh town in Ramallah. Sheikh Ezziddin Amarneh appealed to human rights institutions and concerned authorities to intervene for the release of his son, Ahmad, who is politically detained in a Palestinian Authority’s (PA) jail in Tulkarem. In a videotaped speech to al-Quds satellite channel, Amarneh said that his son, who was an ex-detainee, was kidnapped by the PA’s security apparatuses in front of Khadouri University last Wednesday. Ahmad Amarneh is detained at the PA’s preventive apparatus pending the decision of Tulkarem’s Mayor, his father elaborated. The Palestinian Authority (PA) apparatuses late on Tuesday evening kidnapped the Palestinian jail-breaker Samer Bani Awdeh, a couple of days after he managed to break out of an Israeli lock-up. 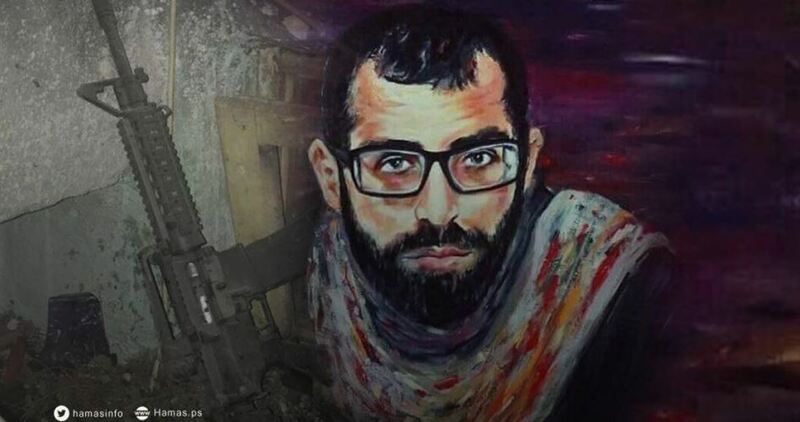 A PIC news correspondent said the PA forces kidnapped 32-year-old Samer Bani Awdeh after they broke into his family home in Tulkarem’s northern area of al-Jaroushiya. The detainee was transferred to the PA lock-up in Jericho pending his transfer to an Israeli jail. Bani Awdeh managed to escape from an Israeli prison on Sunday while he was being transferred to the HaEmek Hospital in Afoula to undergo medical check-ups. The arrest of Bani Awdeh is a sign of ongoing security coordination between the PA, chaired by Mahmoud Abbas, and the Israeli occupation authorities. The Shin Bet, Israel’s internal intelligence agency, and the Palestinian Authority (PA) security apparatuses arrested recently dozens of Palestinian citizens affiliated with Hamas as part of their security collaboration, the Hebrew news website Walla has revealed. Walla claimed that this security cooperation frustrated several attacks that had been planned by Hamas in the West Bank and Israel. It quoted Israeli and Palestinian security sources as saying that the latest Shin Bet-PA campaign led to the arrest of a Hamas-affiliated cell that intended to carry out attacks using guns and explosive materials against Israeli targets. This cell is composed of five Palestinians, three detained by the PA and two in Israeli jails, according to the website. In the context of this PA-Israeli cooperation, the Shin Bet also arrested a group of Hamas activists that worked recently on increasing the strength and influence of their Movement in the West Bank, Walla claimed further. About 100 groups from Hamas accused of plotting to target Israelis were arrested in the West Bank by the PA and Israel during 2016, the website noted.